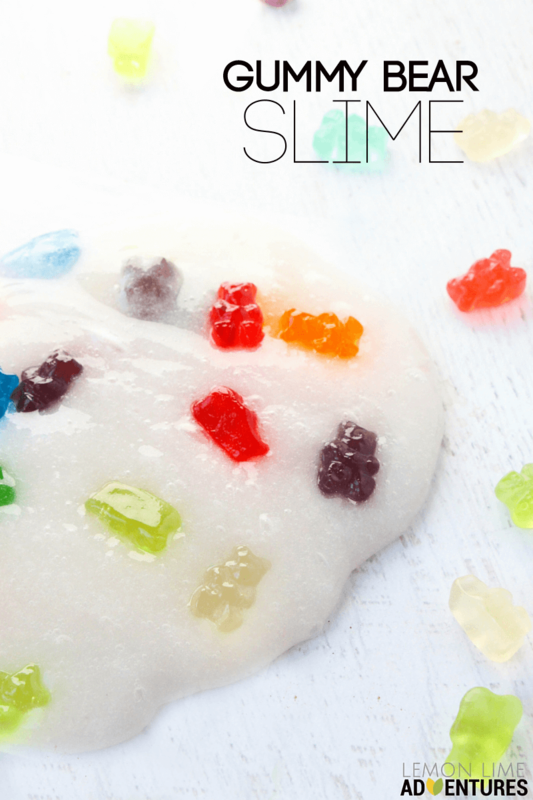 After making Red Hot Slime with cinnamon heart candies earlier this year, my daughter has been begging to do another candy slime – so we just had to use our favorite candy to make this Super Simple Gummy Bear Slime! 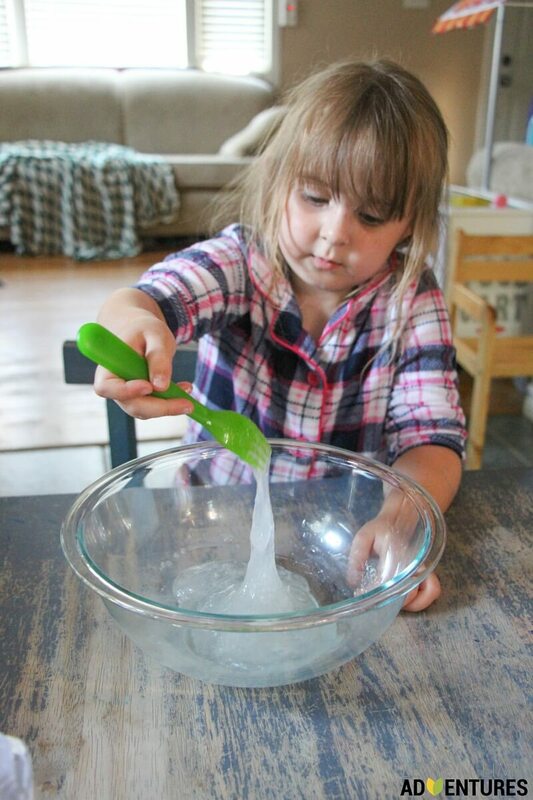 You may want to check out Dayna’s video on how to make slime here if this is your first time. There’s a bit of experimentation with making slime, so rest assured that the first time is the longest – but you’ll soon get the hang of it! Basically, you add the 2 bottles of glue and a little less than 1/2 cup of liquid starch into a bowl. Stir it up with a fork and add extra water or starch as needed. Knead for a few minutes between each addition, as the kneading will help remove some of the stickiness by really encouraging those ingredients to bond to each other. 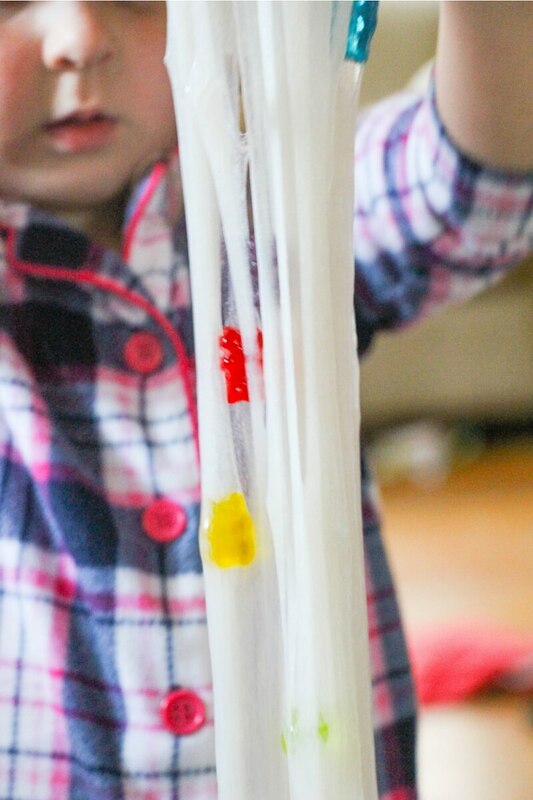 The perfect slime should be stretchy and oozy without sticking to your hands. However, the longer children play with it, the stickier it becomes. You can add extra starch during play to prevent this. 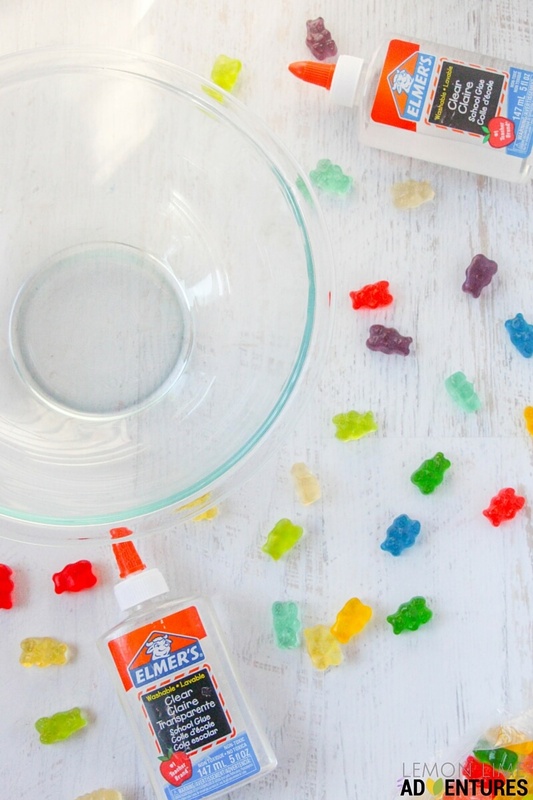 Once the slime is ready to go, starting mixing the gummy bears into the slime. 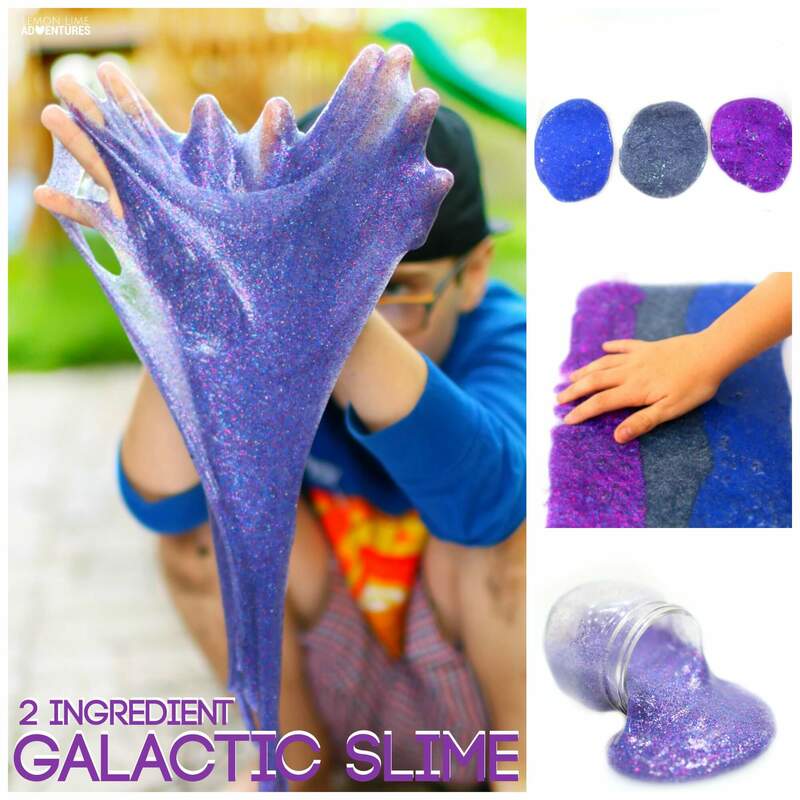 If your child has previously made slimes with other materials in it (like we listed above), this is a great time to make comparisons. How did they expect the slime to work with the gummy bears? 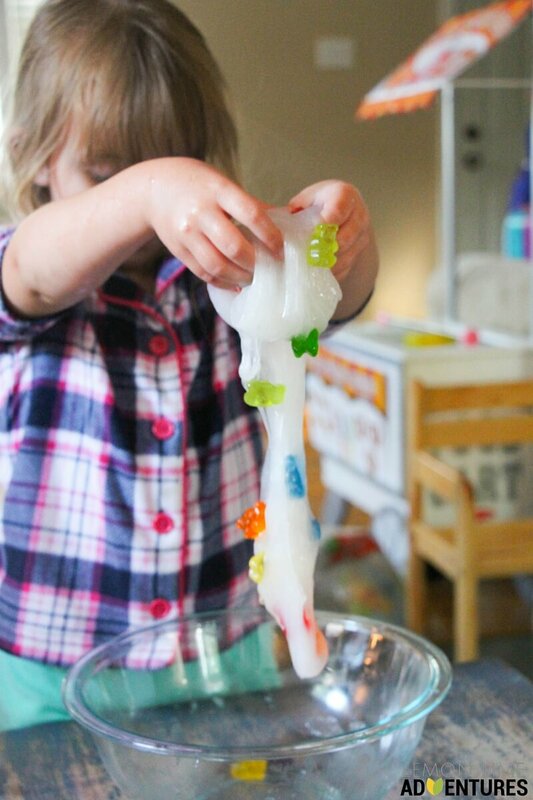 With the red hot slime, the candies melted from an exothermic chemical reaction; with beads, bird seed, sequins, and pom poms, the items stayed stuck in the slime – the gummy bears instead became very slippery and kept trying to escape the slime! Throughout our sensory play, we had to keep pushing the increasingly slick gummy bears back into the slime. 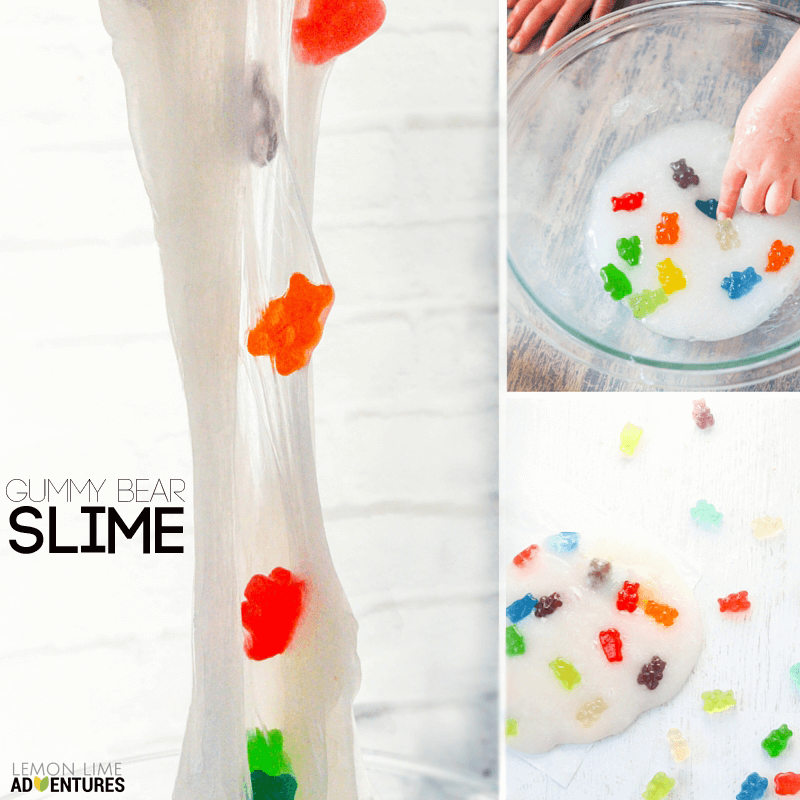 This was a great fine motor activity and caused my daughter to ask questions and think of possible scientific explanations as to why the gummy bears weren’t dissolving or staying suspended in the slime. 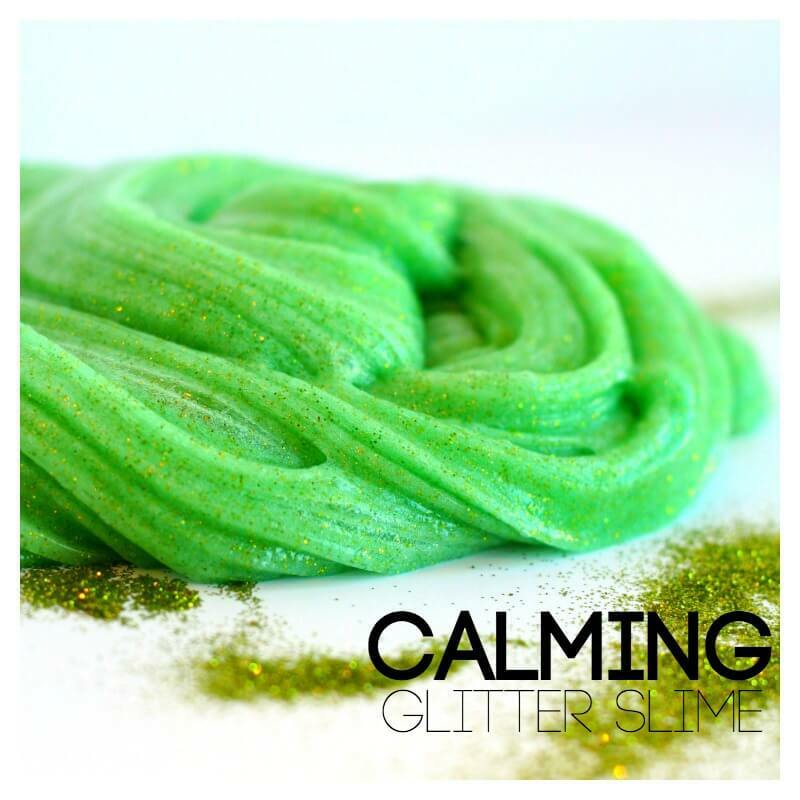 This was a really vibrant slime and would be great to make for a play date – especially if the other child shows up with candy to share! 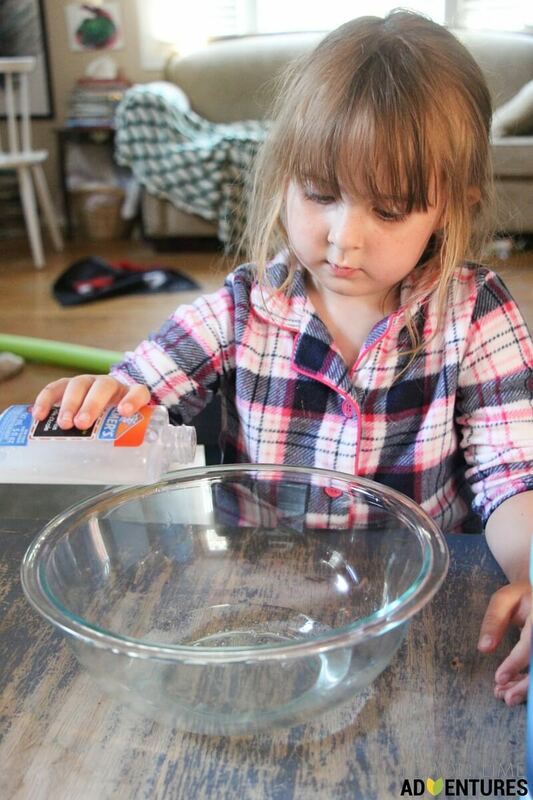 I think my daughter would always choose making slime with her candy over eating it. 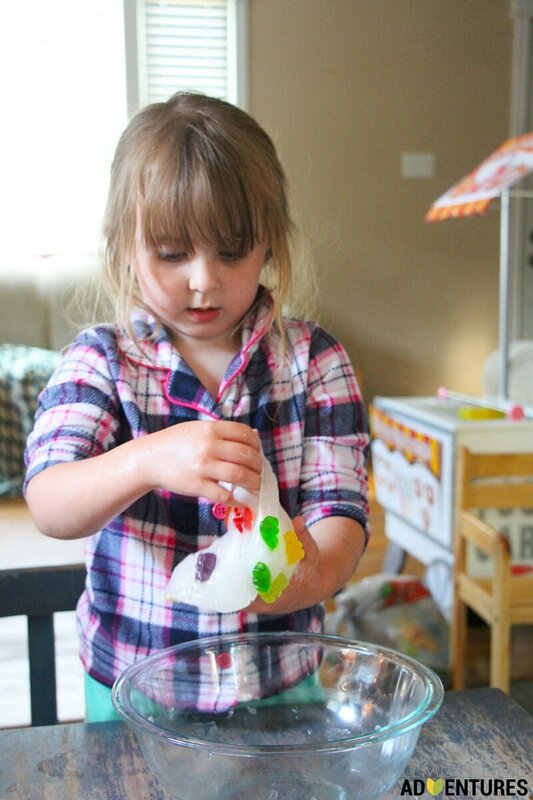 Would you ever mix gummy bears or other food items into your sensory play?